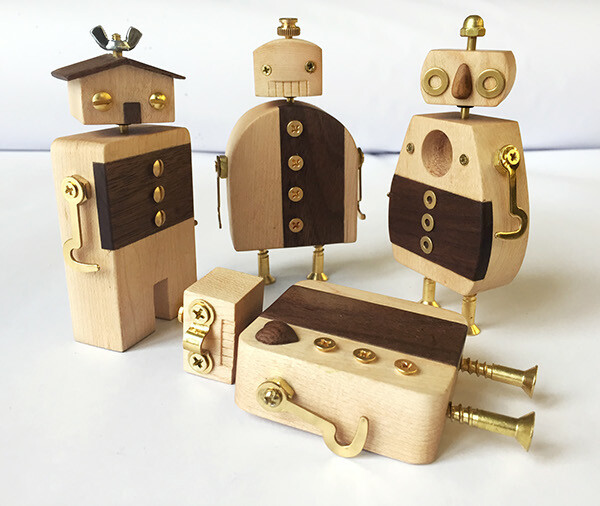 Woodbots are handmade toy robots with interchangeable heads. 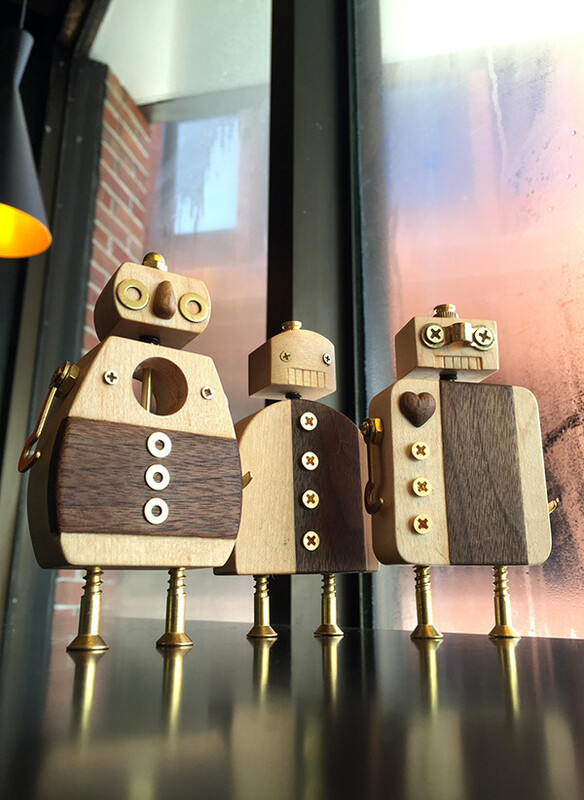 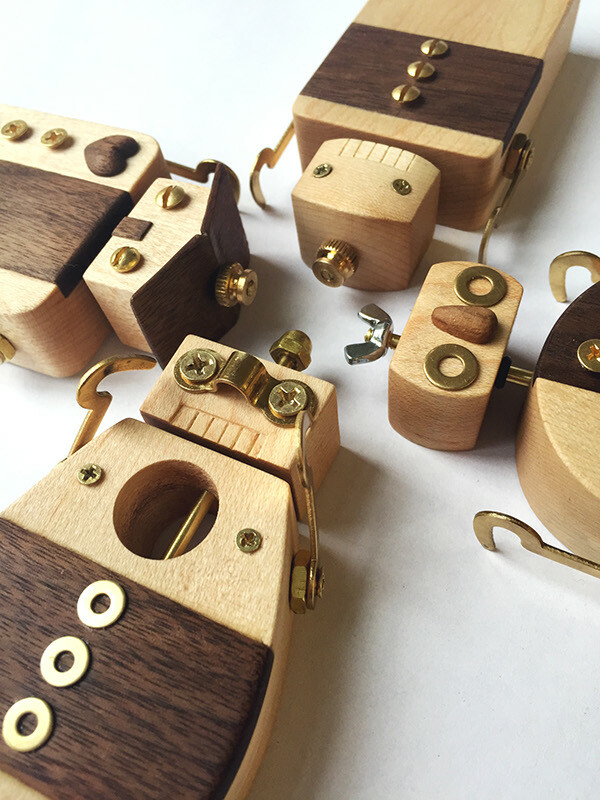 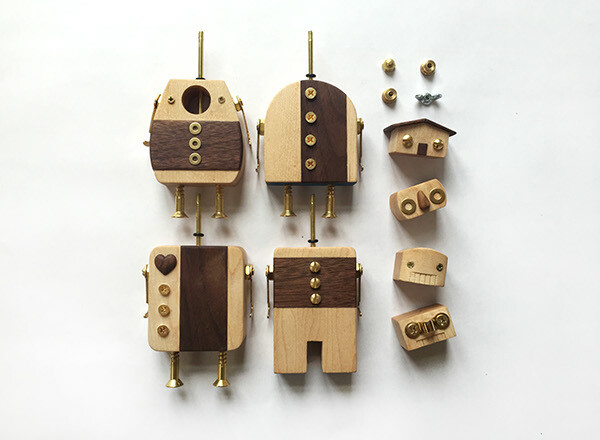 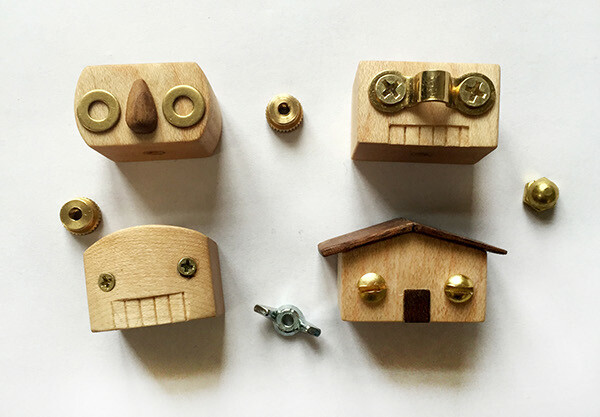 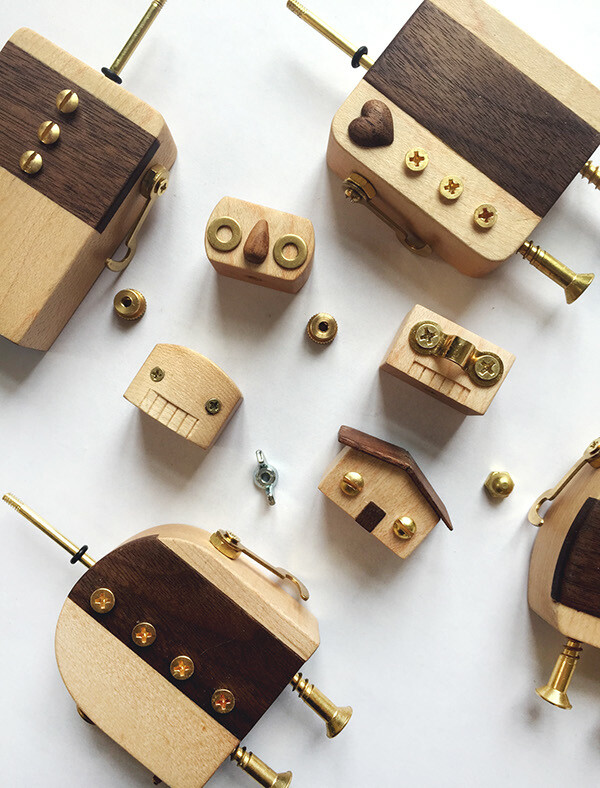 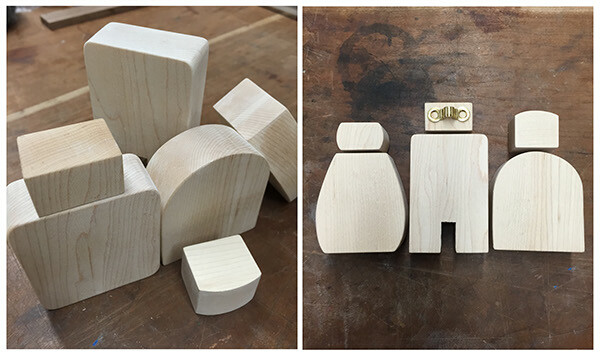 Crafted from maple, walnut, and brass hardware, each little robot can stand alone or live in a set. 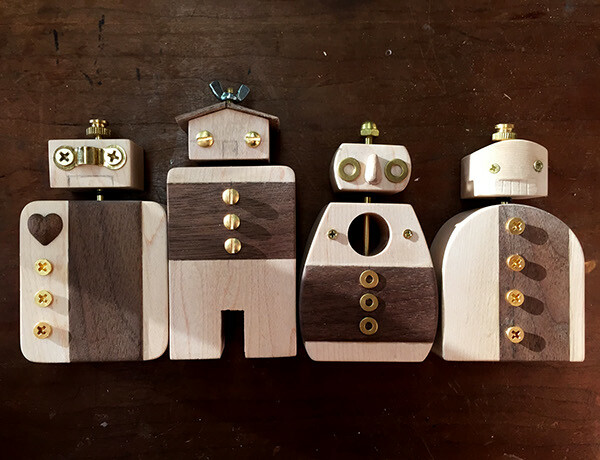 Everybody needs a friend or three.